This time of the year used to be renowned for its snow cover in our area, down in the south and the south-eastern corner of England. Very early in my motoring life, in the early 1960s, impecunious friends and I spent hours up on top of the North Downs, near Shere village, hurtling around an otherwise deserted, snow-covered car park, amongst the bracken and birch trees, sliding, drifting and spinning our battered old Hillman Minx, Morris 8, Ford Anglia and Mini (there’s posh! ), and so slowly absorbing the finer arts and simple experience of car control. It was highly cost-effective. We learned a tremendous amount. And it was fun. The ‘big freeze’ winter of 1962-63 was as much fun as it was bitter, cold and gruelling. I have heard stories from Goodwood habitués of illicit motorised larkings about involving the drifted-in Motor Circuit, of getting away on the Duke’s snow-covered race circuit with precisely the kind of car control self-instruction that we Guildfordians were accumulating 20 miles or so to the north. But just for a moment, in this festive season, imagine the likes of Jenson Button, Nico Hulkenberg, Dani Kvyat, Max Verstappen and Will Stevens – middle to backfield Grand Prix contenders – taking Formula 1 Cars to Sweden to race on a frozen airfield circuit for the Swedish Winter Grand Prix. Early in early 1947, a cheerfully brandy-fuelled band of Grand Prix drivers took the ferry to Sweden to compete in an ice race on the airfield at Rommehed, 10 kilometres south of Borlange, on a 3½-kilometre circuit of straights and sharp corners. 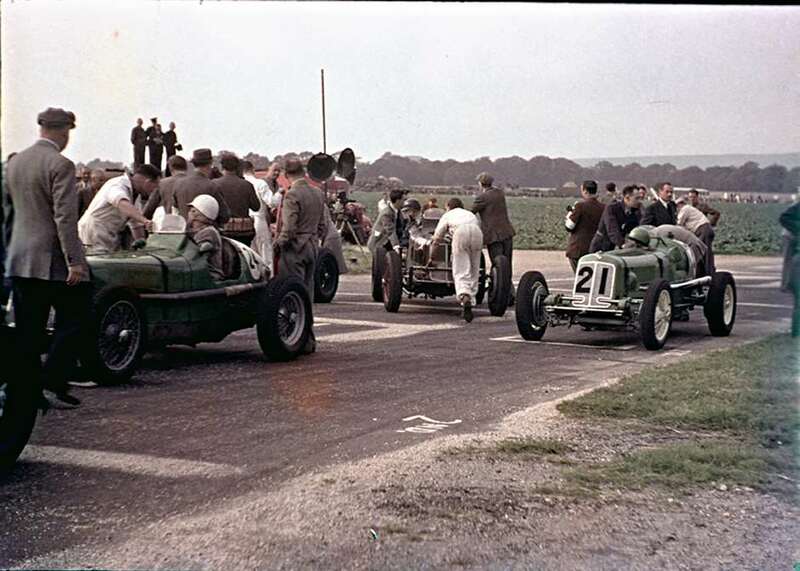 The international entry included names who would feature large in Goodwood’s early racing history, including Reg Parnell, George Abecassis and Leslie Brooke, there with pre-war supercharged 1½-litre 6-cylinder ERAs running on alcohol fuel, which was good news in those gasoline-strapped times. Sweden’s Winter Grand Prix was finally run on February 9, 1947 with only four starters, the three ERAs and local man Nobelius in a Bugatti, with the rest of the entry relegated to rugged-up spectating. Reports describe how some 45,000 spectacle-starved Swedes turned out for the meeting, which included sports car races as well as the Grand Prix, and the races were run in a temperature of -24 degrees Celsius (-10 Fahrenheit). Allowing for the intense cold, the race distance was cut drastically to just under 70 miles, and Reg Parnell, the haulier and pig farmer from Derby, won comfortably in a 59-minute, 2.3-second slip-and-slide drive, from Brooke of Coventry and Abecassis of Walton-on-Thames. Two days later the would-be ‘European’ entries’ stricken ship was freed from Baltic ice and the Stockholm section of the Swedish Motor Club offered to put on another race for the benefit of those who had missed their Rommehed Grand Prix. 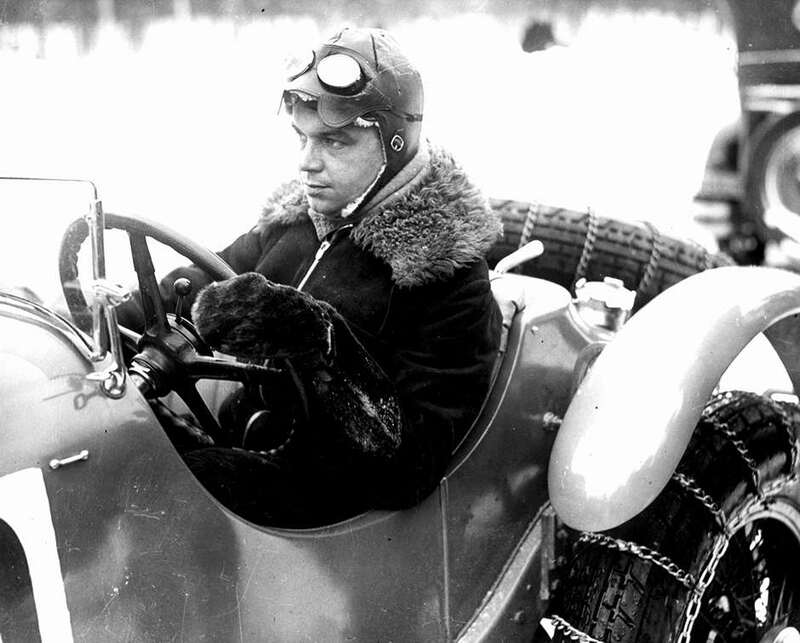 The venue was to be a frozen lake at Vallentuna, north of Stockholm, where no less than a five kilometre circuit – half-a-kilometre longer than the Goodwood Motor Circuit – was laid out on the ice by first clearing off the snow and then rolling hot gravel into the ice, making a smooth and surprisingly grippy surface. This tacked-on event was scheduled for February 23, and when the English drivers returned they brought with them special twin-tyred rear wheels for the ERAs, as had been developed in short-track British hill-climbs. The temperature had continued to plummet and on race day an all-time low of -35 degree Celsius was recorded; even so, 30,000 heavily muffled spectators turned out to watch, huddled in clumps around big pine and brush bonfires. With the full international entry taking part, this was a much better race, which Sommer led for the first nine of the 25 laps, before spinning off and filling his supercharger air intake and carburettor with snow. ‘Uncle Reg’ Parnell again emerged as the winner, ahead of Abecassis (pressing-on to the finish despite holing a piston, so running on only five cylinders) and the Frenchman Chaboud. Leslie Brooke – never one to hang about – had demonstrated a spectacular line in speedway-style opposite-lock cornering, which delighted the crowds, but his ERA was forced out with engine trouble ‘caused by the difficulties of keeping the oil warm enough to circulate’. Meanwhile, according to Denis Jenkinson, ‘poor old Chiron could not come to grips with the scene at all’. Parnell’s elapsed time for this marrow-chilling race was 1 hr. 09 min. 19.4 sec., averaging just over 67mph. 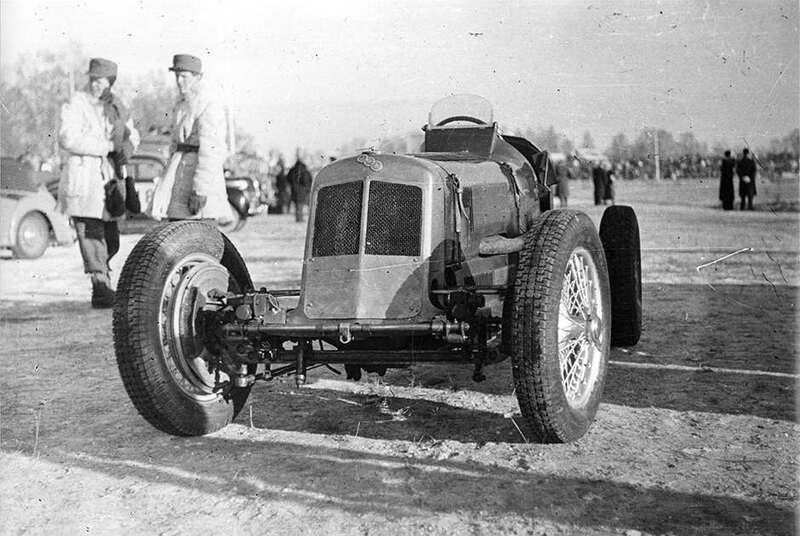 The ERAs used in those chilly Swedish winter races were the victorious prototype chassis ‘R1A’ for Reg Parnell, ‘R2A’ for George Abecassis and ‘R7B’ for Leslie Brooke. Spool forward to the Goodwood Revival era and ‘R1A’ appeared in the early editions driven by its American-in-England owner Dean Butler. 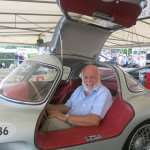 The ex-Abecassis car ‘R2A’ has been campaigned energetically here in recent years by Paddins Dowling, while ‘R7B’ competed in 2015, in the hands of its owner Julian Wilton. But of course these days snow-covered South Downs have become a rarity, and a white Christmas is as rare as a respectable McLaren-Honda F1 showing. A Happy Christmas to all our readers – practice hard, keep the faith – and keep safe! 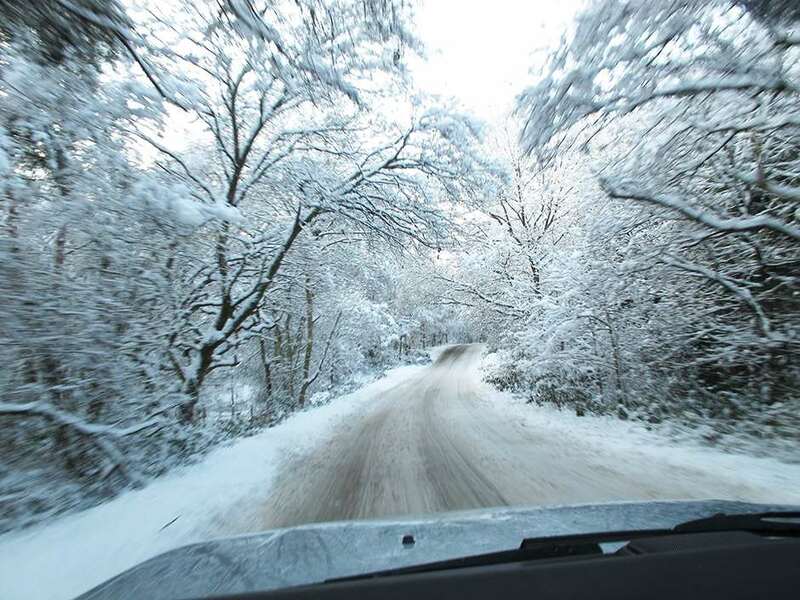 All I would add is that our ice-bound larkin’ about off the public road paid great dividends, and skid-school training today is certainly invaluable experience for new young drivers early in their development. May I close this somewhat seasonal column simply by wishing all fellow Goodwood fans and GRRC members a very Happy Christmas, and a most successful, satisfying, healthy – and safe – New Year.